Most cities or counties also have codes stating rabies vaccines are required. 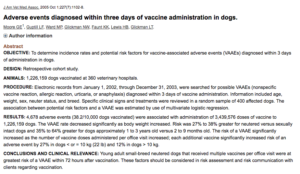 Often, and in the case with the state requirement, the rules state pets should be re-vaccinated every 1-3 years, or as instructed by the vaccine manufacturer. The rules do not allow for a positive antibody titer to be shown and meet vaccine requirements, but we are hopeful that will soon change. Other vaccines for dogs and cats may be required by groomers, daycares, or boarding facilities. These vaccines include Distemper/Parvo (DP, DHPP, or DAPP) and Bordetella for dogs, and FVRCP for cats. The businesses requiring these vaccines are able to make their own rules about which vaccines they may require, on what interval, and whether or not they will accept a letter of exemption or waiver from a veterinarian. Some kennels have insurance policies that dictate their vaccine requirements due to the nature of their business. A growing trend is some veterinarians refusing care or denying prescription refills if pets are not “up to date” on vaccines. 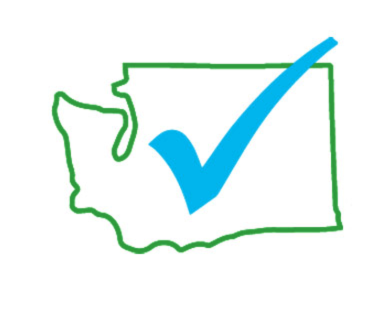 There is no law in Washington that binds veterinarians to enforce rabies requirements, compliance is ultimately the pet owner’s decision. Refusal of care can go against the vaccine manufacturer’s own instructions, as they typically state only healthy animals receive vaccinations. A veterinarian should not be trying to coerce a client to accept vaccinations for their pet when they are seeking care during illness, nor should needed medications be withheld to get pet owners to comply. WHAT ABOUT EXEMPTIONS OR WAIVERS? Veterinary vaccines are regulated by APHIS (Animal and Plant Health Inspection Service) an agency within the USDA, whereas human vaccines are regulated by the FDA. It can be near impossible to get full list of veterinary vaccine excipients, as the manufacturers are not required to disclose them. Instead, they can claim the ingredients are “proprietary” and only offer information about a few excipients. For example, many rabies vaccines use aluminum hydroxide as the adjuvant, but the manufacturer will not disclose the amount per dose. Veterinary vaccine ingredients are very similar to the ingredients in human vaccines and may include; Aluminum, thimerosol, antibiotics, animal products including cell lines and blood products, retroviruses and contaminants.